Skyrocket to #1 in Google with Hidden Algorithm Data, Google Doesn’t Want you to See! And now – we want to let YOU sell this software as your own, and keep 100% of the profits for yourself! Throughout our years in online marketing, we’ve realized this one undeniable truth: the real profits are made from selling digital products online. Sure, you can sell just about anything on your website, but the problem with marketing a physical product has to do with the overhead costs involved. I’m a believer in selling eBooks, videos, online courses and seminars, etc., for the simple fact that these products only need to be created once - yet they can be sold a thousand times! It’s rather obvious that the software business is booming and is still projected to grow, especially since the prices of web-accessible devices are projected to fall. But... there’s a problem: while the overhead costs once the app is developed are practically nothing, the upfront costs present a massive obstacle. Sure, you can sell the app a thousand times, but developing one that’s useable, helpful, and marketable is extremely expensive. it’s a major app with lots of complex functions. its graphical interface has to be functional. for the development of the software, and that’s not even including the usual $5,000 if you don’t already have an online marketing machine in place. So you can see now why so many good marketing entrepreneurs are stuck in this pickle of a business decision. This golden opportunity is ripe for the taking, but the obstacle of the upfront cost is one that is just not feasible to overcome. ...or paying thousands, out-of-pocket, for a software design team. Why? 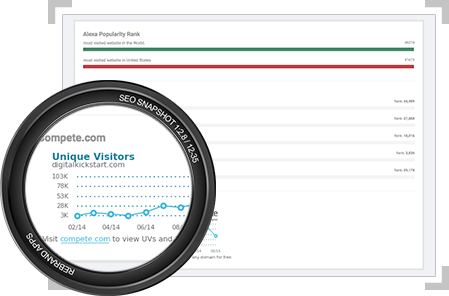 We’ve taken the hardest, most expensive part out of your way, and already developed one of THE most comprehensive, user-friendly, powerful, and cost-effective SEO apps on the market for YOU to resell. ...That’s correct: you won’t have to run a single test or add a one measly line of program software coding, because we’ve already taken care of it for you! I want to allow you to bypass all that hassle and start profiting TODAY from an amazing app! 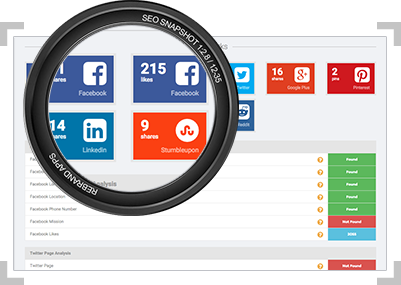 Get 100% White Label Rights and Keep 100% of the Profits by selling our Custom Built SEO Spying and Analysis Software, SEO Snapshot as Your Own. Getting good backlinks is important, but making sure that Google sees your site as quality content that visitors will continue to go back to is crucial. If your on-page SEO isn’t up to par, you won’t rank. SEO Snapshot will help you fix this! 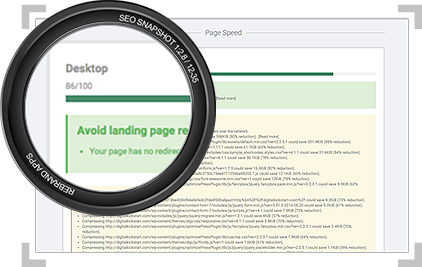 - When one of your customers purchases SEO Snapshot, they’ll have access to their own membership back office via their login info. From your admin area, you’ll be able to manage the ENTIRE membership website, which is installed on YOUR own servers. 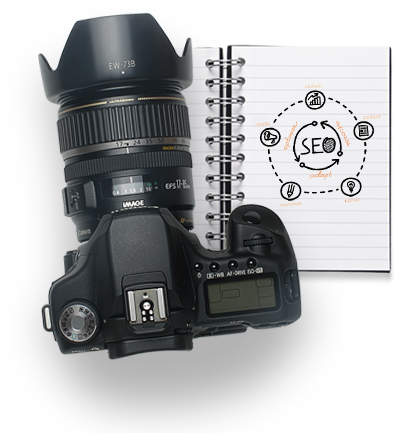 Also, we’ve produced training materials and tutorials just for you, so you can get the most out of your SEO Snapshot white label reselling machine. Design: Simple, yet Beautiful. Engaging, yet Attractive. We spared absolutely no expense on our end, which is why we brought onboard a dream team of developers and graphic designers. That’s why you’re going to get the latest in GUI design, formatting, and functionality with a complete package of screenshots, images, graphs, and videos that will kick your sales into overdrive. 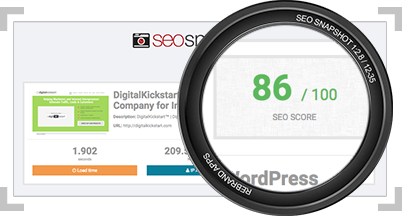 SEO Snapshot is yours to resell, but we handled the hardest part for you. You need a salespage that simply turns visitors into customers, which is why our team of seasoned salescopy writers has crafted content that exceeds industry performance standards. It simply works and has been A-B tested, time and time again, to create buyers. 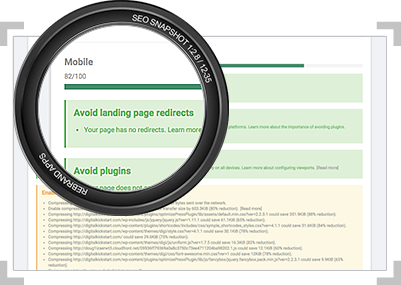 Worried about training your customers on using SEO Snapshot? Well, you don’t have to be, because we’ve taken care of that too. Included in your purchase are the video source files, which can be uploaded to YouTube or Vimeo and accessed in the members back office area. Then I would not hesitate for a second. I’d dive right in, head first. There’s a stark difference between a cheap scheme and a lucrative opportunity: with the latter, both you and your customers can bring it home for the win. The buy button below is a chance for you to have just that. 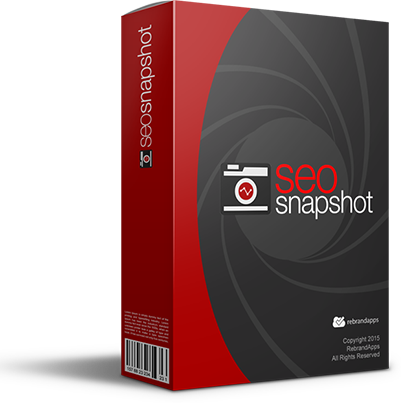 If you want to experience massive profits from selling the SEO Snapshot software AS YOUR OWN, keeping 100% of the profits, while providing your customers with a crucial tool that will help their own business experience massive increases in efficiency and sales… Then don’t hesitate on this golden opportunity. White-Label License - Keep 100% of the Profits! Selling Over 12 Million in Software Sales! You can resell access to the software for a minimum of $17 to an unlimited number of users. You can’t resell the membership script (it’s only for installing on your servers). You can install the membership script on 1 domain that you own. 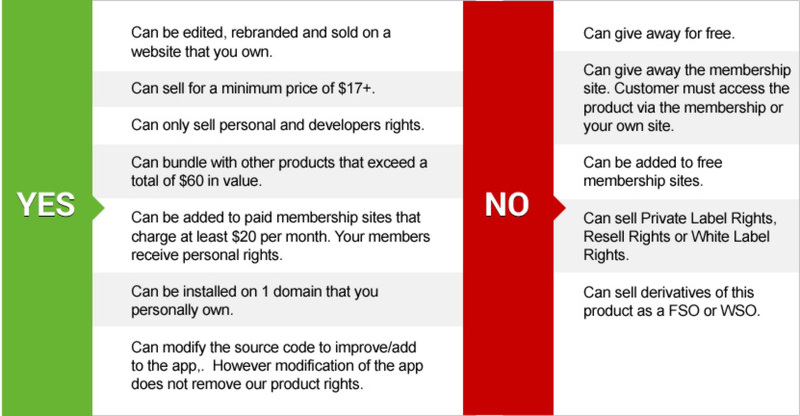 Installing a Rebrand Apps App is as easy as installing WordPress. Simply upload the files to your server/domain, then go to the install.php file and following the step-by-step instructions. Done. You are ready to start selling! Easy Integration with any payment processor you would like, including Paypal and Stripe. 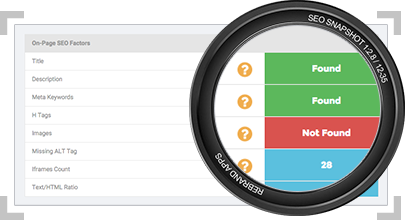 Manage all of your new customers in a simple User Management console, which allows for each Adding / Deleting / Disabling of accounts. Send out transactional email notifications like Welcome, Account Creation and Reset Password emails using any SMTP provider like Mandrill or Postmark. Automatically add your customers to any email marketing provider, to send product updates and marketing promotions. Upload your own logo and branding to make the app completely unique. SEO Snapshot does not satisfy you in any way, simply send us an email within 30 days from your purchase and we’ll refund you right away! So, if for any reason you’re not happy, you can get your money back within 30 days. Simply contact us. No monkey business. We will always refund your money. 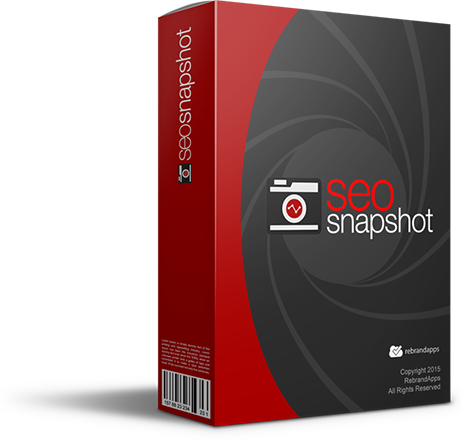 Give SEO Snapshot a Try right now!